Crowning a rocky crag and boasting spectacular views, Beeston is one of the most dramatically sited medieval castles in England. On a clear day you can see all the way from the Pennines to the Welsh mountains. With a 4,000 year history and a 40-acre woodland park, Beeston Castle has something for everyone to enjoy. People have lived and worked at Beeston since prehistoric times. But look around the site today, and little visible evidence remains of the site’s early origins. We want to help bring Beeston’s Bronze Age past to life. So this spring we start work building a new roundhouse at the site, revealing how people may have lived up to 3,000 years ago. A bank is created at the base of the crag and the site attracts Bronze Age metalworkers. The site is transformed into a substantial hillfort with earthwork defences. Ranulf, 6th Earl of Chester, one of the greatest barons of England, starts to build the ‘Castle of the Rock’. Hostages from Wales are held at the castle. The outer defences are completed. Major rebuilding works include three new towers and a massive bridge leading to the inner bailey's outer gate. 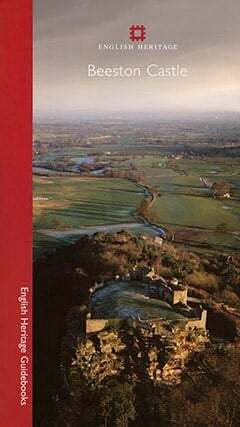 According to legend, Richard II hides part of his treasure at Beeston Castle in the inner ward well, before being captured by the future Henry IV. The abandoned castle is left to fall into ruin. A garrison of 200-300 Parliamentarians occupies the castle. In a midnight raid, Captain Sandford leads nine Royalists to take control of the inner ward. Parliamentary leader Steele dines with them and sends beer to their men before surrendering. The Royalist garrison is besieged by the Parliamentarians for nearly a year. Starved out, they finally surrender and Parliament demolishes most of the castle's defences. Lord Tollemache buys the estate and builds his own castle opposite Beeston. He promotes it as a tourist attraction and stocks the grounds with kangaroos and deer. The first Beeston fête is held. It becomes an annual event on August Bank Holiday. The castle is taken into state care and becomes the site of major excavations before being taken over by English Heritage.